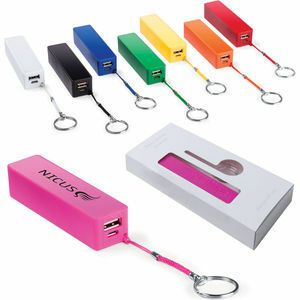 2000mAh power bank with keyring attachment. Cable not included. Recharge by PC or USB port. Supplied in a box. Suitable for mobile phones.